After recently filling out an RFP (Request for Proposal) for a potential client, we got to thinking about the types of questions a client should be asking in their RFP. Aside from the “typical” questions such as “What size clients do you work with? Do you do content? Can you share a case study? How do you employ keyword research?”, there are untapped potential questions that can reveal a true fit in the SEO and client partnership search. What is your primary focus on a website? A clever agency will cover all major elements of a site: foundational, technical, structural, on-page content, off-page elements, rich media, social analysis, local SEO, and analytics. Examine your website and address these questions in a concrete way. Encourage the agency to give you real-life examples of how they’ve dealt with any of these elements. For example, this information can help you determine the best way to organize product listings and blog content on your e-commerce website as a fashion retailer. How does SEO contribute to an overall digital strategy of this site? From the Elite SEM standpoint, we believe working cross-divisions only makes a site stronger. Encourage your SEO agency to answer this question with an understanding of the additional digital marketing angles. The last thing you would want is an agency that has no idea how display advertising works or where paid search comes into play for successful engagement. Otherwise, your website won’t generate enough leads and conversions to keep your retail fashion business going strong. 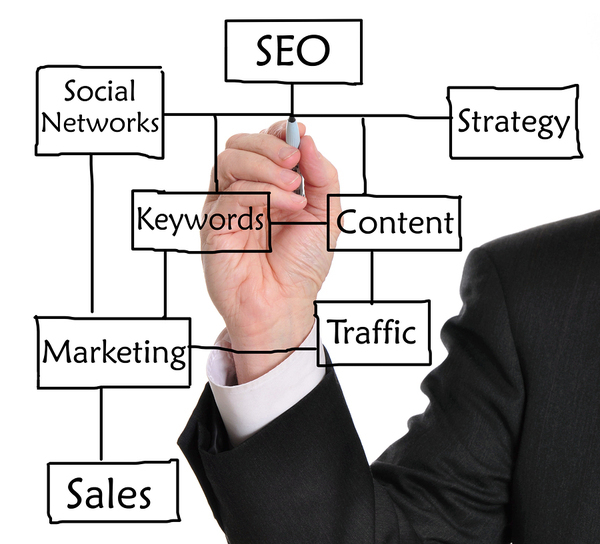 Learn about how the SEO agency will address the inevitable. For e-commerce clients, it might be holidays-related. For attraction/tourist clients, it might be seasonally related to weather. No matter the issue, knowing your agency can tackle these wrenches in the system is crucial. Also, this information will help assess their readiness to support you. For example, they could help you understand the best ways to transition between fashion seasons through display advertising and paid search. How would Google’s recent algorithms impact our site? This will encourage the SEO agency to address algorithm updates and showcase their knowledge of current events in search marketing. After all, you don’t want an agency that is still stuck on link-building in 2016 and beyond, do you? Industry standards are fluid – what might have been best practice a few years ago is irrelevant now. In other words, the trends change like that of the fashion industry. The more you keep up with fashion trends, the more engagement your website can experience. What were your reasons for rejecting a potential client in the past? From a communications standpoint, this is important to ask. Clients want to know which SEO agency has their best interest in mind. On the other hand, they don’t want “yes men” that won’t enforce their knowledge. At Elite SEM. we’re consultants as well as partners. We aim to lead with authority without ever letting our clients stray from their goals. Hopefully, you are more prepared to ask your prospective SEO agency the right questions. Want more insight into SEO? Read this: SEO helps financial advisory site 19% amid migration to new CMS. Keep up to date on industry news, events, and best practices in digital marketing. Copyright © 2019 EliteSEM.com. All rights reserved.